The Negroni cocktail is a fairly bitter cocktail that pairs well with antipasto and savory hors d'oeuvres. 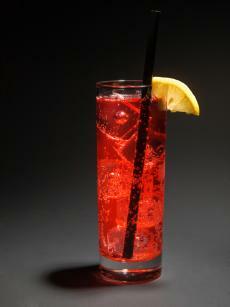 According to Cocktail Atlas and various other sources, the drink is said to have been invented when a certain Count Camillo Negroni requested a splash of gin in his Americano cocktail. 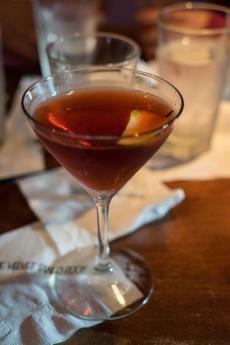 Pleased with the result, the Negroni became his favorite drink and was subsequently named after him. Mix three main ingredients in equal proportions. It doesn't get much simpler than this. Add some ice cubes to an old-fashioned or rocks glass, pour the ingredients over the ice and give a slight stir. Alternatively, you can pour the ingredients into a shaker with ice, give it a shake, and strain the contents into a chilled cocktail glass. Garnish the finished cocktail with an orange slice or twist. If sweet vermouth isn't your thing, substitute with the same amount of dry vermouth. This is the cocktail that led to the creation of the Negroni. 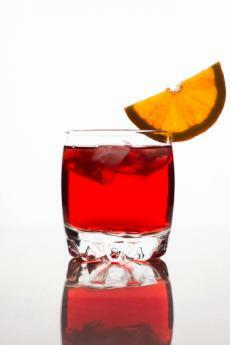 Pour the Campari and sweet vermouth into a Collins glass that contains ice cubes. Fill the remainder of the glass with the soda water. The choice of vermouth and the use of Suze liqueur make the difference in this cocktail. Combine the gin, vermouth, and Suze in a rocks or old-fashioned glass with crushed ice. Garnish the cocktail with a lemon twist. If you prefer the flavor of bourbon over gin, try this recipe. Combine the ingredients in a chilled cocktail glass and stir. This version was created by a happy "mistake." 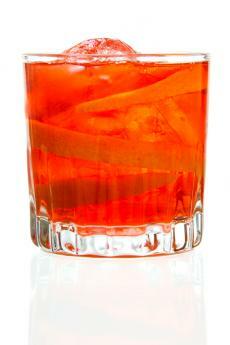 Combine the vermouth and Campari in a rocks or old-fashioned glass with crushed ice. Top off the cocktail with the Prosecco. The fruity tones of Jamaican rum add another dimension to this variation of the standard cocktail. Combine all ingredients in a rocks glass and stir. A 1920s classic, the Negroni isn't served so frequently these days so chances are you may have never tried one. If you haven't, you should taste one at least once. The bitterness of the Campari may take a little getting used to, but you just might acquire a taste for this drink, especially if you pair it with some of your favorite cocktail party foods. If you find you really don't like it, the old saying still applies; nothing ventured, nothing gained.